This is still, for me, the team that Conn Smythe built. And when the Maple Leafs unveiled their “Top 100” of all-time list on Friday, his was one of the names that came to mind immediately. The announcement was part of the now ongoing Centennial season celebrations. Three new names (Dave Keon at right, Tim Horton and Turk Broda) were formally added to Legends Row this past week. And the Top 100 announcement nicely tees up the team’s home opener tonight against the Boston Bruins, another Original Six franchise. I was asked to do a piece on the new 100 list for my colleagues over at the Maple Leaf Host Stove site, so rather than run through all the same reflections here, I’ll just share the link to that post here. I will only add that the current Leaf squad seems to have a few youngsters who may just push their way on to this “list” in the years ahead—Auston Matthews being just one example of a brighter Leaf future that seemingly lies ahead. But there are other kids (Nylander, Rielly, etc.) all looking to make their mark too. Maybe they will earn this kind of recognition down the road. But it takes time to leave the kind of long lasting impression that those named yesterday did throughout their NHL and Maple Leaf careers. Fortunately, we have a coach now who will likely drive team success, with notable individual achievements sure to follow. But for now, it’s fun to discuss and debate the list as it stands. If you have any thoughts about who should be or is on the list, by all means share them here or over at MLHS. I haven’t posted in a while here at VLM, but I’ll aim to more regularly as the new season unfolds. Welcome back, Michael! I hope you had a good summer! It will be interesting to see how our young guys pan out this year. I was impressed with Marner's play on the top line in Wednesday's game, and of course Matthews, Nylander and Hyman were fun to watch. I doubt Matthews will see third line checkers - and space on the ice - for much longer if that line continues to produce. My Leaf favorites, along with consensus choices like Keon and Armstrong, Salming and Sundin, would include some of the lesser lights who really gave it their all for the team. Dmitri Yushkevich, Danny Markov, and Errol Thompson all come to mind. Looking forward to another year of VLM! Great to be connected again, Gerund O'. I am absolutely with you when it comes to Yushkevich and Markov. You need those kinds of players, and I would have no problem with their being on some kind of Leaf list- at the very least, honourable mention. Gritty players who would block shots and play tough all over the ice. Team guys. Thompson was certainly a fun player to watch for a few years in the mid 1970s. I didn't comment on his inclusion on the 100 list (I think he was there...) on the MLHS post. As I recall, his best Leaf moments, including a 40 goal season, were with McDonald and Sittler. He could certainly skate! I look forward to reading your posts this season. It looks like we will be getting back to brilliant plays and beautiful skating. Congratulations will be in order for the holy trinity of President, G.M. and coach. They have opened the door for a blast of clean, fresh air coming directly off Lake Ontario. We are thrilled in our house. Keep writing! Fresh air, indeed, Elizabeth. With the youngsters growing by the day, there should be better times ahead (and enjoyable hockey to watch!) for the Leaf faithful. Thanks for connecting. Welcome back, good to read your posts again. In a top 100 list spanning the course of a hundred years it is going to be very hard to compare lists. For myself, I've never understood the Keon hysteria. Having never saw him play all I can go by is numbers and testimonials. By the numbers his "greatness" is vey much open to debate. He seems like a very skilled guy who was undoubtly an all star player but I just can't wrap my head around great. To me the greatest Leaf was Sundin. I watched his career unfold from start to finish and was never less than amazed by the big swede. He was the model of consistency. And the epitome of grace. To top it all off no one else has scored as much as Sundin did while wearing the blue and white. I think your right as well Michael, it seems to me that more than one of the current crop of youngsters will someday be in the top 100. To me truly elite, great superstars always seem to rise to the occasion. To see Mathews pot 4 in his debut to me seems to fit that bill. Win or lose this year promises to be fun again and when was the last time we could say that. Great to hear from you, Willbur. Just a quick comment on Keon: for me, Keon was one of those guys who was about so much more than numbers. Key face-offs. Penalty killing. Never took penalties. Drew hundreds of penalties against the opposition because of his speed, skill and anticipation. So he saved - and helped - his team in those ways. He scored some of the biggest goals in team history in the playoffs, and I am old enough (fortunately) to remember them all well. Always checking a top centre on the other team. But I get your point about the numbers. They pale compared to many. I loved Sundin, too, no question. With a bit more help, he might have led us to something special. As for the current squad, it sure seems as though better days ahead. Maybe even this season. Stay in touch Willbur. Welcome back indeed Michael. As long as I have been coming to your site here, I know this must be an exciting time for you with the 100 year anniversary and all the history that is being discussed and debated. We all have our limitations due to our age. Of course none of us have been alive more than a hundred years to have been able to see the entire history of the club. My own personal recollection began right when Ballard was beginning to dismantle the club as the 1970s came to a close. I am happy to see McDonald, Williams, Palmateer, and Turnbull for that reason. It is amazing to think what talent the team possessed right then when you consider the team was being led by Darryl Sittler and Borje Salming was on defense. 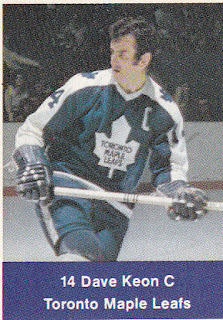 Dave Keon was long gone from the Leafs by that time, and was merely a curiosity to me, collecting hockey cards and realizing how long he had been playing professsional hockey. But I defer to the historians who have discussed him and Syl Apps, the consensus has always seemed to be that they were simply two of the most talented hockey players of their respective eras. If his career had not been interrupted by World War II, I wonder if Apps might be listed as number 1 on this list. It is fun to take a look through history, to recognize the better times, and to notice those darker days that are conspicuous by their absence of players on this list. What is most exciting today is seeing just how much talent and promise the young players possess. It is a new era and of course we should expect to see less and less players remaining with one franchise long enough to be considered for all-time status. As I see it now, we could expect to see at least some of Marner, Matthews, and Nylander, as well as possibly van Riemsdyk, Rielly, Gardner, Kadri, Zaitsev, and maybe even my person favourite, Komarov, being added to this list. Thanks for checking in, Pete. I think you're absolutely right about Apps. And that late '70s Roger Neilson-coached Leaf squad was likeable and fun to watch, for sure. Just not quite on a level with the hated Habs of the day. I think there's not much doubt that some of the current crop of "kids" will make their mark. And like you, I'm glad Komarov is still here. He is precisely the kind of throwback player that good teams need to have success. Thanks Pete.